Situated in the Balkans is the diverse nation of Serbia. This is a country of cultural fusions, wild parties, enchanting greenery, as well as architecture that reflects various former eras. More than 7 million residents in Serbia contribute towards this nation’s welcoming atmosphere. Popular attractions include the Belgrade Fortress, Gardoš Tower (Zemun) and Dunavska Street (Novi Sad). 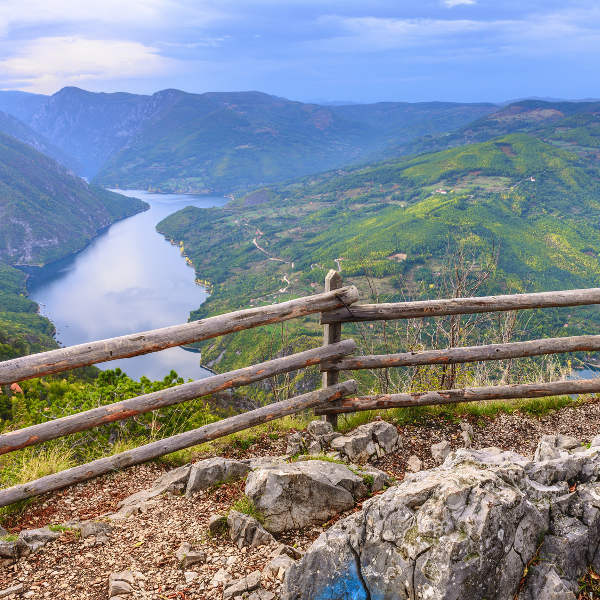 Start making your holiday plans, because cheap flights to Serbia are now available for a limited time! The capital, Belgrade, is the home of Belgrade Nikola Tesla Airport (BEG), which is a 20-minute drive from the city centre. The country of Serbia is home to many historic architectural wonders. 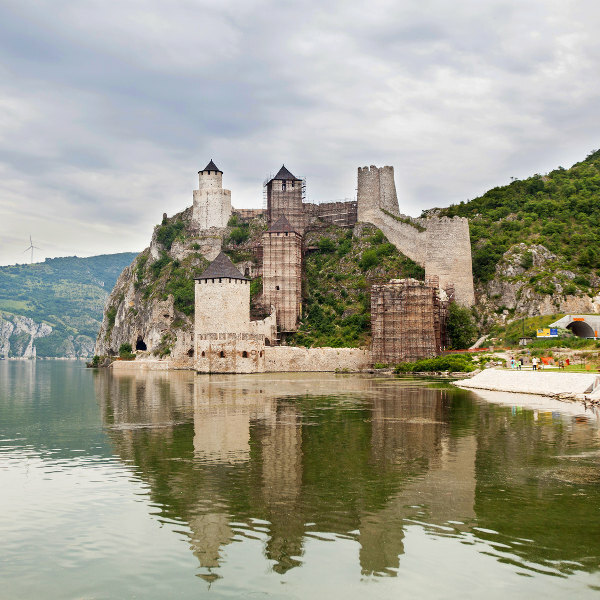 These include religious sites like Žiča Monastery and the Church of St. Mark, and defensive structures like Golubac Fortress and Belgrade Fortress. While Serbia is a landlocked destination, it doesn’t mean you’ll miss out on the beach experience! Soak up the sun and have some fun outdoors at places like the beaches of Ada Ciganlija, Štrand and Lido. Adventurers will fall in love with the beautiful landscapes of Serbia. Explore vast areas like the Tara National Park and the Special Nature Reserve Uvac. Those seeking a thrill can visit the Stopica Cave and Uvac Canyon. The long and cold winters are between November and March, with some areas ideal for skiing between November and April. Beware - should you choose to explore the outdoors during this time, as from November the paths between the mountain ranges become obstructed. For a pleasant experience, visit during summer (June – August). The only time you’d have to worry about crowds is during the month of July, when many Europeans descend upon Serbia for the EXIT festival. For the cheapest flights to Serbia, visit between the months of November and April. Get ready to immerse yourself in the exceptional culture of Serbia, a product of its diverse history. The country, formerly having been under Ottoman, Roman, Christian and Byzantine rule, offers a unique holiday experience in the Balkans region of Europe. The residents of Serbia are famous for providing the nation’s warm and welcoming atmosphere, adding an extra delight to this destination’s appealing sights and sounds. Join in exciting events like the amazing EXIT Festival in Novi Sad. Discover the city of Subotica’s charming artistic flair. Treat yourself to the contrast of ancient traditions and popular ski resorts in the mountainous regions of Kopaonik, Tara and Zlatibor. For a relaxing pace, experience the quaint series of contrasts in Niš, or explore the sacred sites of Novi Pazar. For the vibrant urban experience, visit the capital, Belgrade. This bustling metropolis, situated where the Sava meets the Danube, offers an exciting party scene along these bodies of water. Belgrade is rich with a diverse selection of attractions. These include the magnificent Belgrade Fortress, the scenic neighbourhood of Knex Mihalova and the Kalemegdan Park (part of the Belgrade Fortress). You could relax on the beach on the island of Ada Ciganlija, go on wonderful tours around the city, or just take a leisurely stroll along the Danube River. Compare several airlines and book your cheap flights to Serbia online at Travelstart! Serbia enjoys a high level of safety, a fact further accentuated by the helpful nature of the locals, especially the younger residents, who are more likely to speak English. Beware around crowded areas like tourist attractions and public transportation facilities, due to the risk of pickpocketing. LGBT visitors should take care as there is a general intolerance towards homosexuals. Due to the Yugoslav wars of 1990, there have been reports of unexploded ordinances outside the major cities. Most of them have been cleared, but stay alert when exploring areas outside the city and stick to well-travelled paths. If you find anything that resembles an explosive, keep away from it and report it to the nearest police station immediately. Take care to avoid any interactions with those selling drugs. Should the police catch you with illegal drugs in your possession, you will most likely be charged for drug smuggling and banned from the country for a lifetime.